Growing up in East Anglia, we are used to seeing Pick Your Own signs on the roads around the counties. As autumn is here over the last few years more and more Pick your Own Pumpkin Patches have appeared. 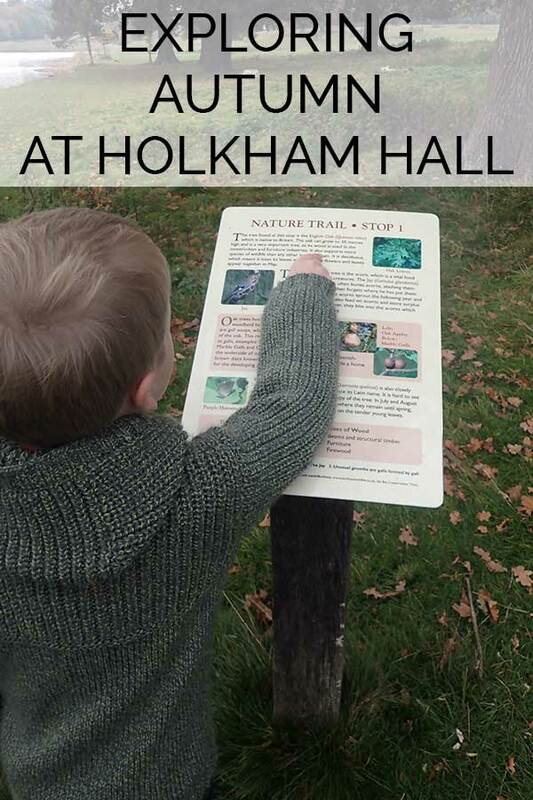 We’ve found the best in the area for you and your children to visit. 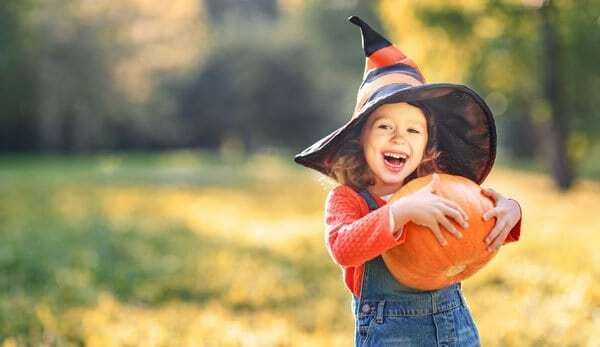 Based in Essex, Suffolk, Norfolk and Cambridgeshire these are fun places to go with the kids and pick the pumpkin for to carve this Halloween. So check out these sites and head out this autumn to pick your own Halloween Pumpkin. 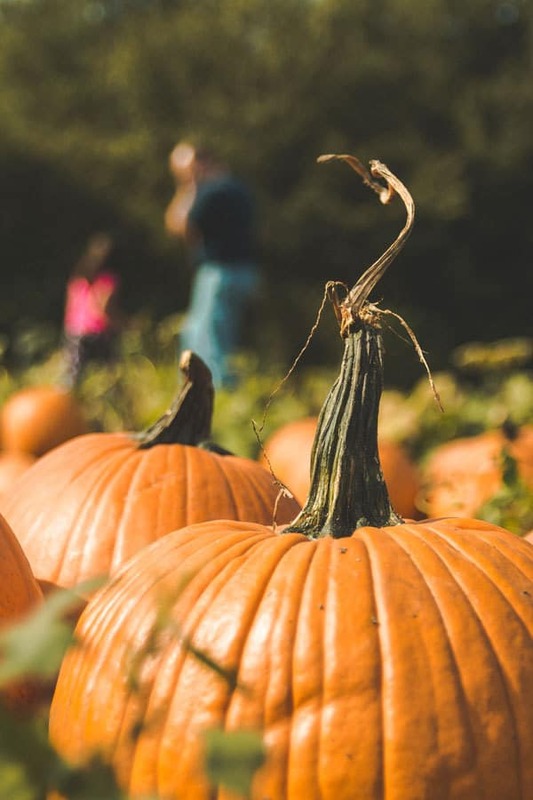 For those in Essex – check out our Pumpkin Patches Near London as some of these may be a little closer to you than the ones below. 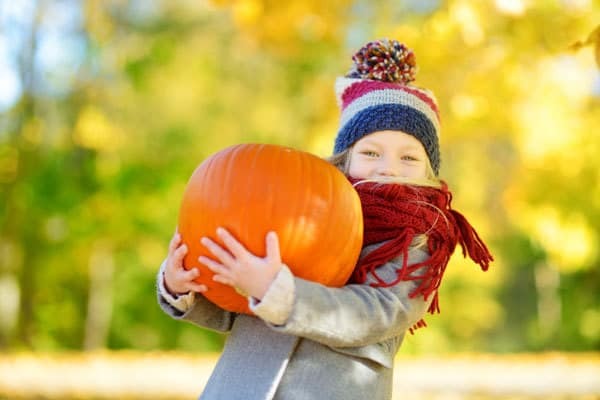 Offering little more than an opportunity to pick your own pumpkin, Pumpkins at Freshfields provides a fun place to go pumpkin hunting. What child doesn’t have fun roaming rows and rows of orange gourds to find that perfect jack-o-lantern? If you’re not in the mood for the field, you can choose a pumpkin from the shop. Either way, you’ll have a fun day trip to the countryside, with the farm near Cambridge. 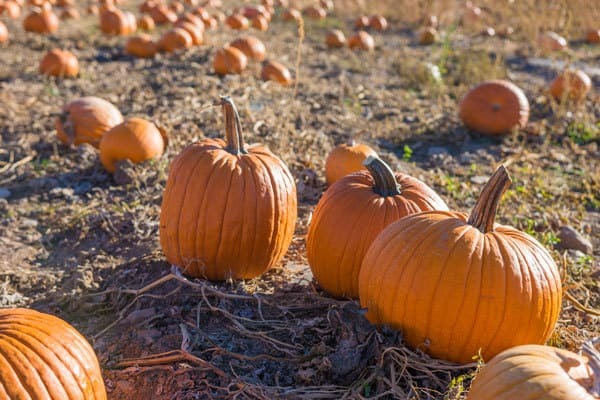 Enjoy a day at the pumpkin patch at the White House Farm Farmshop and Butchery just outside Norwich. The pumpkin patch allows visitors to trek to the pumpkin patch to choose their favourite one for the holidays. From small ones to large pumpkins, you can pick the one that is best for your needs, such as decorating or creating a cool design. The 150-year-old farm is open Tuesday through Sunday (closed Monday) and also has a farm shop offering produce, as well as other area shops. The farm hosts a farmers market monthly. A café offers lunch and tea perfect for a little treat with the kids. Pumpkins, donkeys and more await you at Undley Pumpkin Patch and Maize Maze near Lakenheath. 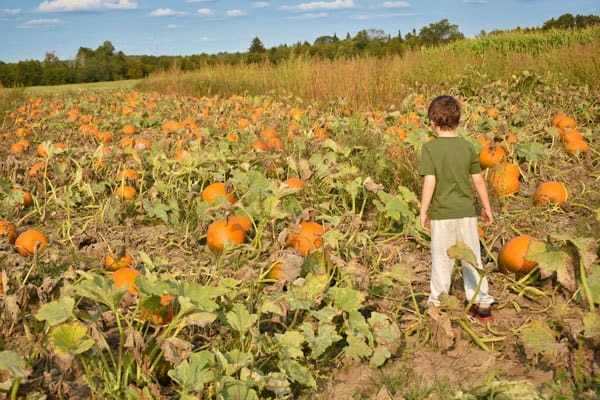 Visitors can enjoy a walk to the pumpkin patch where they can choose their own pumpkin. In addition, you can enjoy a walk through the Maize Maze (don’t take a wrong turn, you may become lost). 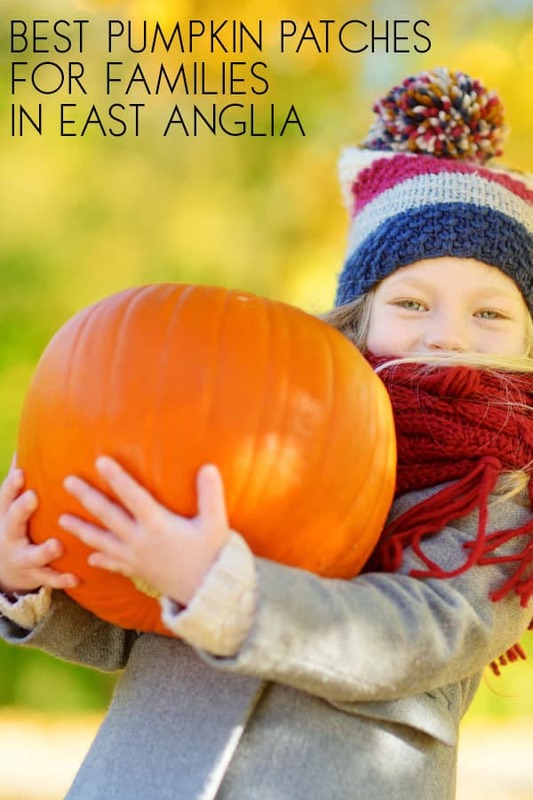 A 40-minute drive from East Anglia, Undley Pumpkin Patch includes donkey rides, face painting and other creative activities every Saturday and Sunday Oct. 6-28. Besides picking their own pumpkin from the pumpkin patch at Pumpkin Jim’s, children can also play undercover cover area for a small fee. They can also participate in mini tractor races. While at Pumpkin Jim’s, you can participate in classes about decorating pumpkins or canning. 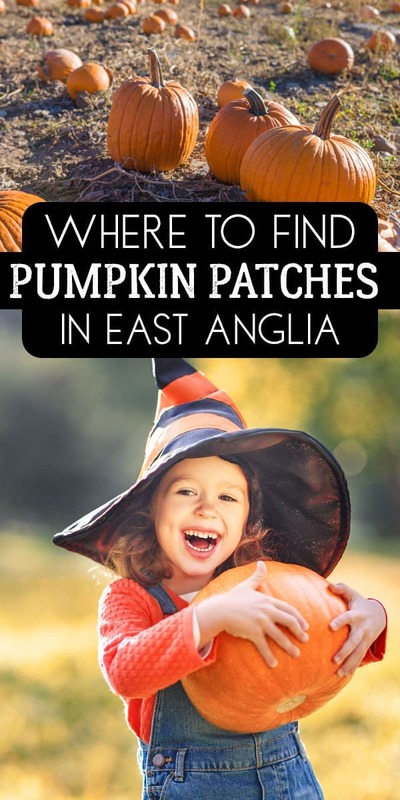 Located in Ickleton on Cambridge, the pumpkin patch is about a 40-minute drive from East Anglia. Pumpkin Jim’s is a cash-only pumpkin patch and has food and drink available. Located about 90 minutes northeast of East Anglia, near the coastline, The Grange is a working farm that has been operated by the Tacons for three generations. The working farm offers a variety of fruits and vegetables that can be picked, including strawberries, asparagus and potatoes. October is ripe for pumpkin picking. Open 10 a.m.-4 p.m. daily for pumpkins, visitors can also purchase produce at the farm shop. Foxes Farm invites visitors to pick their own pumpkins from the farm in Basildon or Colchester. The pumpkin patch is open weekends Sept. 28-Oct. 28. They recommend wearing Wellies due to muddy fields. The mud adds to the family fun (but, you may want to bring some clean clothes for the children). Bring lots of big bags, as the pumpkins may be large and will definitely be dirty. If you’re in the mood for a meal and drinks during your visit, food stalls are available. There is also a Maize Maze there so that you and the kids can try and find your way out among the huge corn plants. Pumpkin season allows us all kinds of places to visit, some with fun activities in addition to pumpkin picking, and others that make picking pumpkins fun. Regardless of the pumpkin patch you choose, make it a fun day trip.